Product categories of Pop Up Tent, we are specialized manufacturers from China, Pop Up Tent, Outdoor Pop Up Tent suppliers/factory, wholesale high-quality products of Single Layer Pop Up Tent R & D and manufacturing, we have the perfect after-sales service and technical support. Look forward to your cooperation! 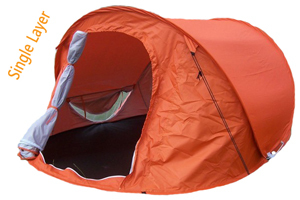 Pop Up Tent also named 2-second Tent,it means you can open and set up the tent in very short times.It made of 2-3 pieces thick fiberglass or steel poles with elasticity. It is asked according to client`s target price and Use area. Pop up tents are very nice for advisting or promotional. 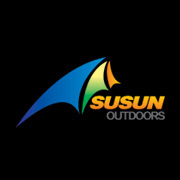 Many clients required to print their Logo on the tent body or tent carry bag. We accept any printing styles:silk printing,rubber printing,transfer printing in any size. Usually carry bag are made from the same material for tent body. Pats of them have a PVC color bag sewn to the bag. 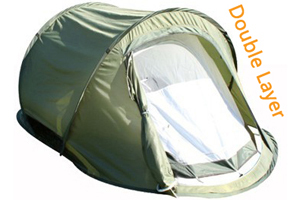 Pop up tent can be for one person,2-3 person even 5more persons. We always attach a paper instruction for tent folding,can be in any languages as you need.